TCP (US) see: Samples etc. TM Network (Japan) see: Samples etc. 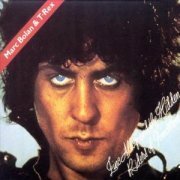 Marc Bolan was never really known for his Mellotron use; all the well-worn hits feature real strings alongside T. Rex's rock'n'roll-influenced glam-boogie thang, making me wonder how the rumours started. Well, listen to Tanx and you'll find out. It's widely regarded as the album where Bolan irretrievably 'lost it'; it's certainly bereft of anything resembling a major hit, but don't hold that against it. There's a great deal more blues in this record than in anything the band put out at their peak, although there are too many weak spots to consider it 'classic' in any way. 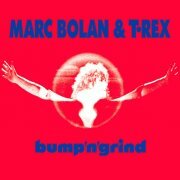 Given the hit-heavy bonus tracks on the CD, it seems Marc wasn't putting his singles on his albums at the time, which could have been a serious error commercially. 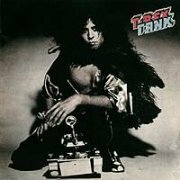 Given that Bolan's singles tend to be swamped in real strings, it's quite a surprise that Tanx features so much Mellotron, although producer Tony Visconti was known for using them at the time. In fact, although there are real strings to be heard, too, the first sound on the album is a tortured Mellotron being put through its paces, Tenement Lady earning the clichéd phrase, 'Mellotron drenched', with strings all over the shop, including the phased middle section. Mister Mister has more of the same, plus flute chords in the verses, as does Highway Knees; there may possibly be Mellotron on a couple of other tracks, but I wouldn't swear to it, while real strings are also used in places (Electric Slim And The Factory Hen, Left Hand Luke And The Beggar Boys), just to confuse the issue. The CD features several single-only tracks; Free Angel features Mellotron strings trying desperately to sound like the real thing. 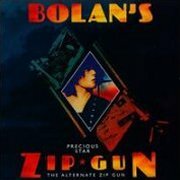 Zinc Alloy & the Hidden Riders of Tomorrow (apparently a dig at the current glam crew) saw Bolan experimenting with American soul textures a good year before Bowie, although he still couldn't manage that all-important US breakthrough. It has a couple of real standout tracks, notably opener Venus Loon, with an almost unearthly harmony in the chorus, but as with its predecessor, far too much of the album sits squarely in the 'also-ran' camp, forgotten as soon as heard. Despite the expanded CD's sleevenotes making a reference to 'an occasional intergalactic Mellotron', the album's real strings fudge the issue to the point where nothing obviously leaps out at you, leaving me no option but to give it a resounding '0' on the Mellotron front. 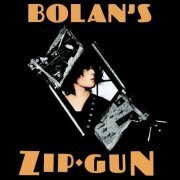 '75's Bolan's Zip Gun is a bit of a mess, to be honest, with Marc adrift in a sea of coke and booze, having no real idea where he was going; even Bolan's biggest fans have trouble finding nice things to say about it, although to my ears, it comes across as merely a lesser version of its predecessor. Although almost everything here comes across as a pastiche on his earlier style, closer Zip Gun Boogie has a great intro riff that deserved better than its workmanlike boogie verse. Dino Dines played the bulk of the album's keyboard parts, including Mellotron strings on Think Zinc and a very obvious part on Golden Belt, as against its predecessor's 'is it/isn't it?' approach. Incidentally, the expanded CD's version of Do You Wanna Dance? was kicked completely into touch the following year by the Ramones, leaving Marc musically high and dry, however much he tried to assume the mantle of the 'Godfather of Punk'. Yeah, right. 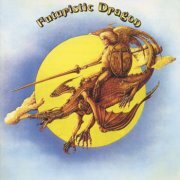 1976's Futuristic Dragon was something of a return to the T. Rex of old, although as it was recorded over the space of a year or more, in various locations, there is some disparity in style. New York City is as dumb a single as Bolan was ever to write, although Jupiter Liar and Chrome Sitar are excellent. As always, the material gets rather samey about half-way through, making me think that all you really need by T. Rex is a greatest hits and a best of the album tracks, should such a thing exist. Dines played keys again and, although most of the strings sound real, that has to be Mellotron on Calling All Destroyers, surely? The trouble with the bonus discs attached to all the above albums is that, unless you're a deeply committed fan, they're a bit, well... boring. Endless demo run-throughs of material you weren't that fussed about in the first place aren't all that enthralling, to be honest, but then, they really are only for Bolan obsessives, meaning that I'm missing the point. Again. Anyway, I've trawled through all of 'em and the only one featuring any Mellotron is Precious Star: The Alternate Zip Gun, originally released in its own right as far back as 1996. Space Boss has Mellotron strings and a full-on flute solo completely missing from the album version, although Golden Belt's short string part is the same, making it likely that this is a working version of the song, rather than a completely different take. Despite a total lack of instrumental credits for the alternate versions, it seems likely that the Mellotron was played by Dino Dines. Speaking of outtakes albums, 2000's Bump'n'Grind is another 'obsessives only' affair, giving us unedited versions of mostly well-known material, many of which, we now know, were cut down from lengthy jams; fun to play, I'm sure, but interminable listens, given their general lack of sonic variety. This is at its best on Laser Love, actually a pretty decent song, while the six-minute master version of 20th Century Boy's worth a listen, although the endless twelve minutes of closer Children Of The Revolution jam rather proves my point. Visconti adds Mellotron to two tracks: the master versions of Dishing Fish Wop (those titles!) has a few seconds of strings over its intro, with cellos all over Metal Guru. Are the latter on the released version? I must check. So, despite there only being a Mellotron presence on a few tracks on Tanx, they're all stuffed to the gills with it, so a cautious recommendation on the Mellotron front, ditto the music. The other albums here are 'forget its' on the Mellotron front, with the possible exception of Zip Gun's bonus disc, although if you like Bolan's schtick, you could do worse than give 'em a listen. TYG (Denmark) see: Samples etc. In 1997, a CD, allegedly of a second, unreleased T2 album slipped out, entitled, with stunning originality, T2, also known as Fantasy, apparently. Although obviously sourced not only from old tapes, but acetates and any other format in which the music could be found, it sounds a little rough in places, which matters not one jot when the band kick off in Careful Sam, for example. It's a great shame it's taken so long for this music to get itself heard, although we should count ourselves lucky it's appeared at all. Surprisingly, drummer Peter Dunton played 'Tron this time round, with brief string parts on both Highway and Careful Sam, before two full-on 'Tron attacks on The Minstrel and the lengthy T2 itself, with swathes of flute and string work, plus brass (I believe) on the former track. If anything, this album's even better than their one official release; it certainly beats it on the Mellotron front. So, two good albums, although T2 is the superior 'Tron record. Buy 'em both anyway. Taake (Norway) see: Samples etc. Jasmin Tabatabai (Germany) see: Samples etc. Craig Taborn (US) see: Samples etc. Now, it may say 'Spain' above, but traditional folk group Taburiente were actually from the Canary Islands, specifically La Palma. Nuevo Cauce ('New Riverbed', literally) was their second album, and is likely to be fairly unpalatable to anyone with a low tolerance for Spanish folk. It starts well enough, with Folia Del Campesino, but the title track is a bit cheesy, though still many castanets away from the sort of stuff you can hear in tourist bars on the Costa del Sol, should you really wish to do so. The rest of the album veers between pleasingly authentic and a bit naff, though you'd have to be pretty hard-hearted to really dislike any of it. 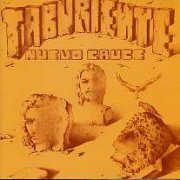 I rather suspect the album was recorded on the mainland, with Mellotron additions played by Canarios' Teddy Bautista, as despite their 'traditional' tag, it seems Taburiente branched out a little on Nuevo Cauce. It's all over the album, mostly strings (Folia Del Campesino, La Raza Vive, Aguantando, with pitchbend), but also cellos (Folia Del Campesino again), plus muffled choir on Canción De Las Poetas and Navidad Guancho, with possibly brass on the former, too, although all flute parts appear to be real. There's even a smattering of synth here and there, notably on Canción De Las Poetas and Canta A Tu Unidad. So; those of you into various European folk musics may well like this; there's some excellent playing, particularly the flute, and some of the harmonies are wonderful. It's not actually bad on the 'Tron front, either, though don't expect anything too ground-breaking; you get the feeling it was a cheap alternative to a string section, as with many bands of the era. Anyway, don't go spending a fortune on this oddity, but it's actually not at all bad, with some decent 'Tron work. 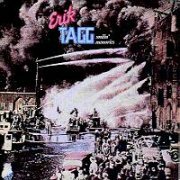 Illinois native Eric R. Tagg began his career in the Netherlands in Beehive and Rainbow Train, becoming Erik in the process, although he also recorded a couple of solo albums, of which 1975's Smilin' Memories is the first. It's about as bland a mid-'70s pop/singer-songwriter effort as you can imagine, with only the synth work on Steamboat to alleviate matters, recorded with a crack studio crew, including Jeff and Michael Porcaro (later of Toto, of course) and no lesser a personage than Lee Ritenour on guitar, later to give Tagg a break on his own early '80s solo albums. Alan 'Lendgrin' (Lindgren) plays Mellotron (and that Moog part on Steamboat), with background strings (sounding like they're depping for real ones) on Fantasy, although the album's other string parts sound like synth. This really is quite awful: ultra-professional soft soul/MOR slush of the 'run away quickly' variety. Next to no Mellotron, either. Incidentally, Tagg moved into the Contemporary Christian area in the '80s, where I'm quite sure his lack of musical personality is appreciated. Canadian trio Tagging Satellites make a rather tiresome goth/indie noise on their second (?) album, 2000's Abstract Confessions, dragged down by Zera Marvel's (often literally) monotonous vocals. Any better tracks? Yes, the album's two instrumentals, Summer Will Come Again and Stolen Bicycles Ride Faster, for a very good reason. Despite using samples for other artists, keys man Graig Markel plays clearly genuine Mellotron strings on Summer Will Come Again, further improving one of the album's better tracks. 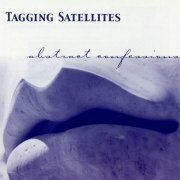 I know of one more Tagging Satellites album, from 2002, so it looks likely they've called it a day. Tahiti 80 (France) see: Samples etc. Despite being nominally French, Taï Phong were actually formed by two Vietnamese brothers, giving their progressive rock more than a little flavour of South-East Asia. Their third release, Last Flight, was, unsurprisingly, their last album, only featuring one brother, and is probably best described as 'ethno-fusion', whatever you may take that to mean. Amongst the jazzier efforts are hidden heavily uninspired efforts such as Sad Passion or How Do You Do, although some of the longer pieces, notably the title track, have their moments. Despite never having used one before, Farewell Gig In Amsterdam features some Mellotron choir from Pascal Wuthrich, used reasonably well, which is always nice to hear, although that's it on the 'Tron front. I can't really recommend this album, I'm sad to say, as at their best, Taï Phong were trying to do something a bit different. Last Flight is a disappointingly bland effort, probably best avoided unless you really have to hear 'Tron choir track no.5438. Or is it 5439? Taigá (US) see: Samples etc. Juta Takahashi (Japan) see: Samples etc. 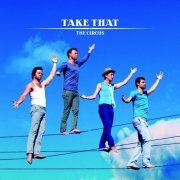 Take That seem to have been not only one of the more successful, but also (get this) one of the more artistically valid pop group reformations of recent years, picking up their teeny audience, now around thirty, where they left off, while recording new albums that don't make the audience groan when they announce, "Here's a new one!" at gigs. Of course, it's still all lightweight fluff, but what did you expect? King Crimson? Actually, the two bands do have one thing in common, which is why this is here... Rather breathless Take That boss Gary Barlow was introduced to the Mellotron by the band's bassist, Lee Pomeroy, who also plays with Rick Wakeman, user of Lee's M400 on his recent Retro albums. 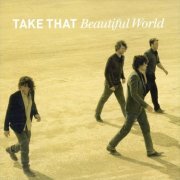 Beautiful World is as blandly professional as you'd expect, with those terrible vocal melodies that Barlow's known for, but they sell millions, so what do I know? I can't bear it, to be honest, but somehow I can't bring myself to give it a good pasting; maybe Barlow's sincerity actually shines through the aluminium micro-pits? 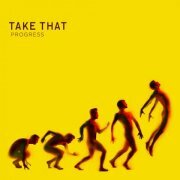 Anyway, discussing the music here's almost irrelevant; it's Take That, and it does what Take That do, for better or worse. Probably the latter. An unknown player (Barlow? Pomeroy?) adds a bit of 'Tron to the album, with quiet little flute stabs on Patience, if you can imagine a quiet stab; it may well be elsewhere, alongside the considerable use of a real string section, but it's impossible to tell in the mix. 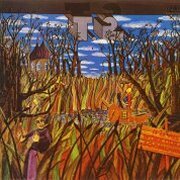 As if to prove it wasn't a fluke, the band released a second reformation album two years later, The Circus. It's business as usual, musically, being every inch as professional (and bland) as its predecessor, although they seem to have gained a modicum of cojones since their '90s heyday, to be fair. Mind you, spot the first use I've encountered of the abbreviation 'OCD' in a song lyric (in How Did It Come To This) and the Queen-alike guitars in Up All Night, self-deprecating lyrics to the fore. Again, very little Mellotron, almost certainly from Barlow this time, with a faint string part in Said It All, only audible at the end and a very brief flute part, only just audible under the piano, on You. 2010's Progress, now with Little Lost Robbie back in the picture, features a rather odd sleeve. Are those figures meant to be the band? So which one's Mr. Williams? Surprisingly, the album's title is quite appropriate, its more inventive writing including Happy Now and Underground Machine, with interesting use of synths on several tracks. Presumably Barlow on Mellotron, with background string swells and some form of M4000 choir on Kidz and quite overt strings on Pretty Things, although if there's anything else here, it's quite effectively hidden in the mix. Take That's resurrection has an amusing side to it: Robbie Williams, their original fifth member, who left them in the lurch back whenever, has watched his mega-career shoot down the shitter in recent years, only to see his ex-colleagues return and clean up. For those of us on the sidelines, I believe this is known as schadenfreude. Strangely, there's been talk from the quartet of taking him back [n.b. they actually have now], but given that he could never sing in the first place (I mean, have you HEARD his attempts at Sinatra?) and he's ballooned in the last few years, why, I mean WHY would they? Billy Talbot (US) see: Samples etc. Michael Talbott & the Wolfkings (US) see: Samples etc. 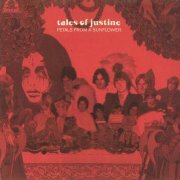 Tales of Justine were one of far too many late '60s psych/pop outfits who should have been bigger, but ended up doomed to obscurity. They released just one single in their lifetime, Albert (A Pet Sunflower), a typically 1967 psyched-up pop song, rather too jaunty for its own good, to be honest, though better than many that made the charts. Fans of the era had to wait thirty years before hearing anything else, when Tenth Planet released a vinyl-only compilation (I do wish they wouldn't do that), Petals From a Sunflower, now sadly out of print. EMI had enough belief in the band at the time to record them at Abbey Road, from where all but one of the album's tracks emanate, despite some 'Net info to the contrary (my info comes direct from David Daltrey - thanks, David). Admittedly, some of the album's contents are a bit psych-by-numbers (Jupiter and So Much Love to Give You spring to mind), but Sunday School is really very good, with a slightly churchy organ part, ditto the oddly-titled Sitting On A Blunestone, although the intro to Aurora is a straight cop from the Lovin' Spoonful's Summer In The City, which is a bit cheeky. David tells me that the Abbey Road 'Tron is on several tracks, although it's barely audible, one of which isn't the rather inconsequential flutes on So Happy, which are David on recorder. The flutes on Something Special are probably 'Tron, ditto Pathway and So Much Love To Give You, though I wouldn't actually put money on the latter two. So; there are enough decent tracks here to make the compilation worth the effort for the connoisseur, but don't go expecting a long-lost classic. Incidentally, information re. this release is incredibly hard to find on the 'Net, probably because it's never been on CD (I had a bugger of a job even finding a tracklisting), so for your information, side 1 (up to Sitting On A Blunestone) is from 1967, and side 2, '68. 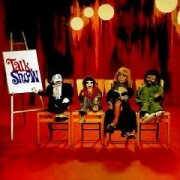 Talk Show were essentially Stone Temple Pilots plus one, without the wayward Scott Weiland, doubtless off on one of his many rehab visits at the time. And it sounds like...? Not a million miles away from Stone Temple Pilots, as far as I can tell, songs full of riffs that aren't riffs, just rather dull chord sequences (yes, there is a difference) and unmemorable vocal lines. It does pick up the pace every now and again, with John rocking out quite nicely, but the overall effect is of exactly what it is; a side-project. Mellotron on one track from drummer Eric Kretz, with flutes opening Behind, reiterating throughout, morphing into a full-on strings part towards the end of the track. A couple of other tracks sound like they might feature the mighty Mellotron, although they're more likely to be 'actual' instruments, notably the solo flute on Hide. Anyway, not a very interesting album, while falling short of completely crap, one so-so Mellotron track. 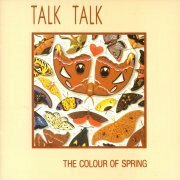 The Colour of Spring was the album where Talk Talk broke away from their fairly dreadful '80s pop beginnings, becoming more organic and far less mainstream, while still making an album that's relatively easy on the ear and, dare I say it, almost commercial. Saying that, April 5th and particularly Chameleon Day are distinct pointers to the band's future, sparse and effective, with a welcome sense of space to them; definitely of the 'less is more' school. While there's the odd bit of digitalness to be heard on the album, it's nice to see a band in the appalling mid-'80s using not just analogue, but electro-mechanical gear, too. Life's What You Make It, the album's surprise hit, has Tim Friese-Greene on Mellotron flutes, strings and choir at different points, along with the Hammond that starred in one of their videos from this period (possibly for this song), while Mark Hollis gives it some more flutes and strings on the also almost-mainstream Give It Up, although to slightly lesser effect. Talk Talk went on to greater things, releasing the even-better Spirit of Eden (****½) two years later (no 'Tron, though), before quietly closing their career with '91's Laughing Stock (****½).